If you ever find yourself locked out of your car, home or office, turn to our company and get the fastest lockout service in California! 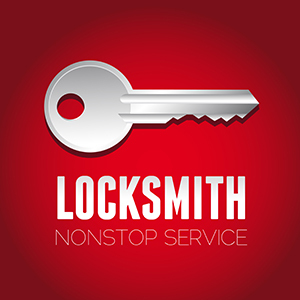 We provide a full range of professional locksmith services ranging from repair to replacement. Count on us for any related job including car ignition rekey and safe installation. 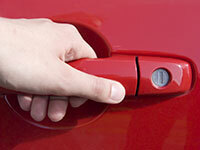 24/7 locksmith services / Car, Home and Office Locksmith Service! On-site Repair! From replacing lost keys and rekeying locks to installing safes and replacing car ignition, we do everything excellently. Contact us to use our locksmith services. Technology is always dynamic and keeps things changing around us. Even in the field of locksmith, technology plays its role. There was once a time when each door of the car had to be separately locked and separately unlocked. Now, thanks to the advancement in technology just one click can lock and unlock all the car doors at the same time. The old keys won’t work for this type of lock. Keeping the fact in mind that technology is always dynamic, Locksmith Mountain View works its hardest to cope with the pace of technology. We own all the tools and top machinery that allow us to make and repair all kinds of residential, commercial and automotive keys and locks. The availability of such machinery and tools do not only allow us to make and repair, but they also allow us to get our work done fast and efficiently. In order to ensure that our clients get what they want, and they get it as early in time as possible; we employ our modern tools and machinery. A combination of our machinery, with the brains of our knowledgeable and experience locksmith team, results in the quality of locksmith items that are reliable and durable. We never compromise on the safety of our clients and our work performance. In order to maintain these standards, Locksmith Mountain View makes sure that our well trained technicians make wise use of the tools provided to them to deliver the best results. Our technicians are well equipped to unlock, replace, install a preventive protection system, manage a master key system, have car locks changed, have new keys made, and duplicate keys and more. Even our emergency unit is equipped with all the necessary tools to deal with all kinds of residential, commercial and automotive locks as quick as possible. Contact us to avail our services. For more information you can also browse in our website.